The Restorator is a simple-to-use, portable electric system that quickly, safely and effectively neutralizes odour in areas up to 20,000 cubic feet. 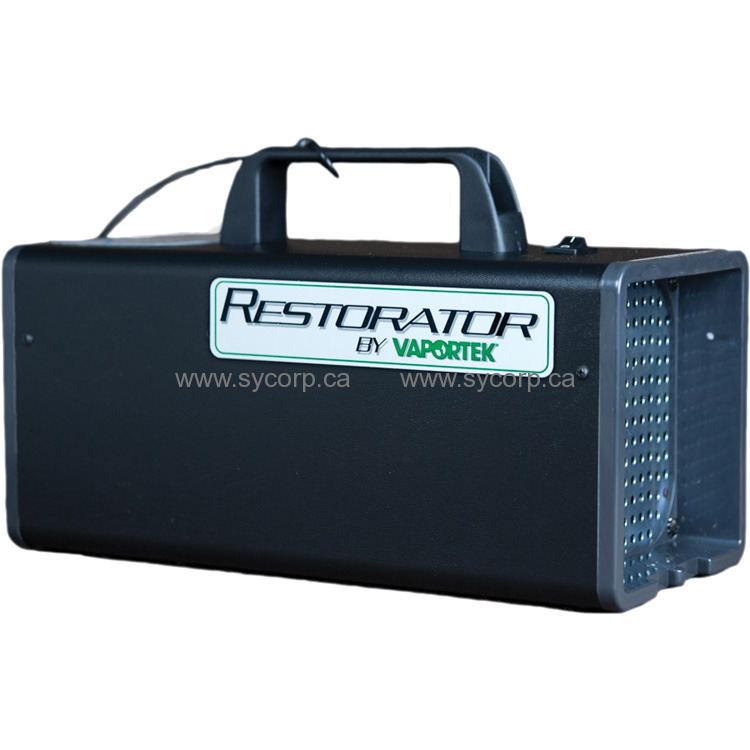 The Restorator uses Vaportek’s patented essential oil membranes to release a non-toxic, odour-neutralizing dry vapour into the air. This pairing technology emits a penetrating vapour that quickly controls and eliminates malodours from smoke, sewage, mould, blood and body fluids as well as other organic based odours. Based on proven technology developed for use in medical facilities, the Restorator continues to perform in areas where client and staff safety are a primary concern. The Restorator is intended for applications where quick results are desired. The Restorator should always be placed at the highest point in the treatment area to maximize the benefit. No ozone is produced and no evacuation or recovery period is necessary with Vaportek technology.